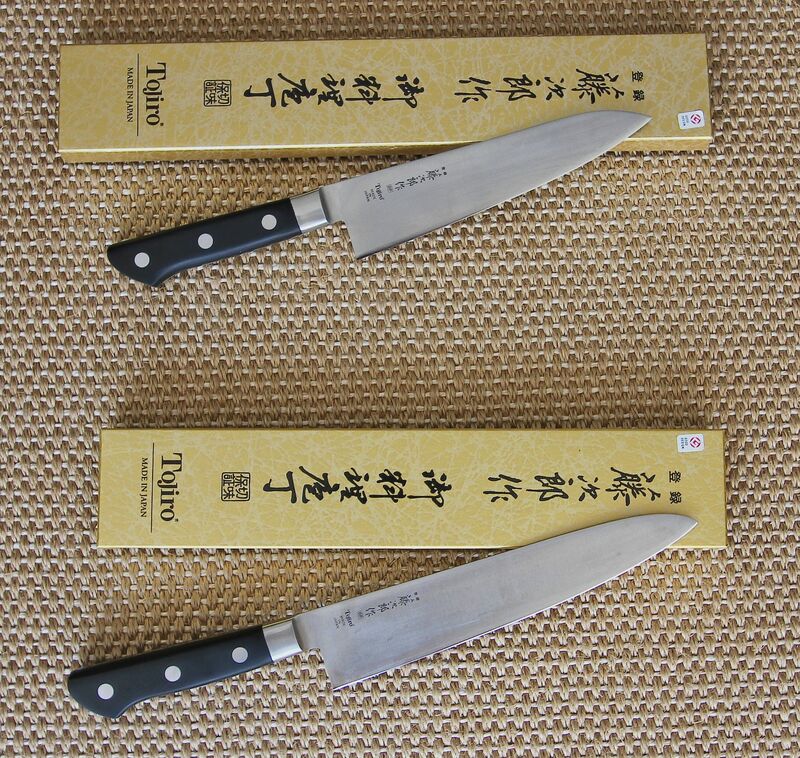 These two Tojiro DP Cobalt Alloy 3-Layered Chef Knives F-807 and F-808 are my favorite all-around no-nonsense knives, 7 and 8 inch respectively. Actually I use mostly the shorter 7-inch F-807, in my humble opinion it’s second only to Wüsthof CLASSIC Extra Wide 16cm 4584/16, judging by performance, ergonomics, maintenance and universality. The Tojiro DP Cobalt Alloy 3-Layered knife series deliver a great value, fantastic performance within $50-$70 price range. I prefer Tojiro DP Cobalt Alloy 3-Layered knives to more expensive multilayered Damascus knives. These knives are the very essence of function and engineering minimalism. Not only do they come to you razor-sharp, they hold their edge for very long with minimal maintenance. My only complaint is that both brand new knives come with some microchipping, though visible only under magnifying glass and negligible for practical purposes. Also mirror surface quickly loses its luster and is easily scratchable. All in all these are the knives I will not be without, enormous value.